A Room of One's Own is excited to welcome Pamela Toler, author of Women Warriors! 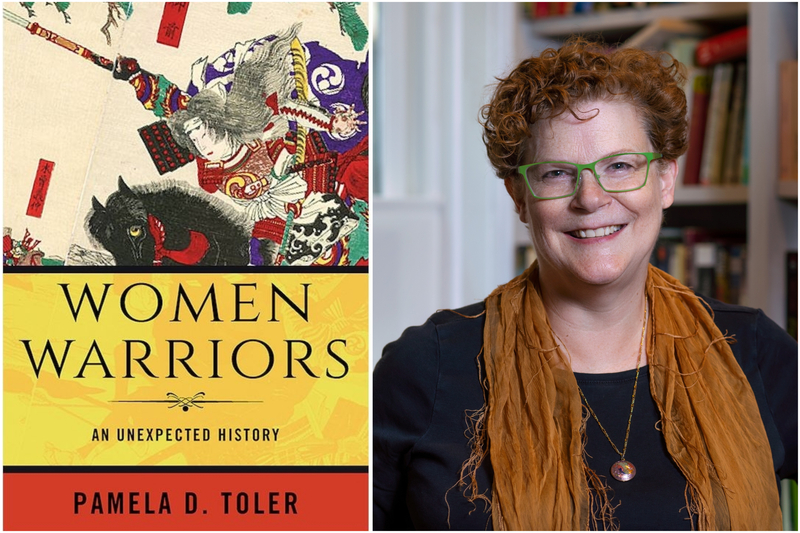 In Women Warriors, historian Pamela Toler examines the stories of historical women for whom battle was not a metaphor: using both well known and obscure examples, drawn from the ancient world through the twentieth century and from Asia and Africa as well as from the West. Looking at specific examples of historical women warriors, she considers why they went to war, how those reasons related to their roles as mothers, daughters, wives, or widows, peacemakers, poets or queens—and what happened when women stepped outside their accepted roles to take on other identities. From Vikings and African queens to cross-dressing military doctors and WWII Russian fighter pilots, Women Warriors reclaims lost stories of women for whom battle was not a metaphor, debunking the pervasive claim that women do not, and should not, fight. Armed with a PhD in history, a well-thumbed deck of library cards, and a large bump of curiosity, author, speaker, and historian, Pamela D. Toler translates history for a popular audience. She goes beyond the familiar boundaries of American history to tell stories from other parts of the world as well as history from the other side of the battlefield, the gender line, or the color bar. Toler is the author of eight books of popular history for children and adults.